It’s happening. Ghost Busters in Lego form. Lego’s Cuusoo program is a site where creators can upload their Lego masterpieces and if they get enough votes, have them reviewed by Lego. Everyone wants their creations to become official kits and there is a lot of licensed material in those submissions. 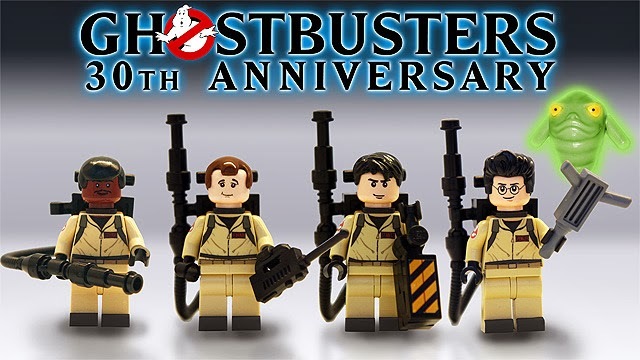 When it comes to properties like Ghostbusters just because Lego reviewed it doesn’t mean that they’d be willing to pay for the rights to make the kit. Except in this case they did. 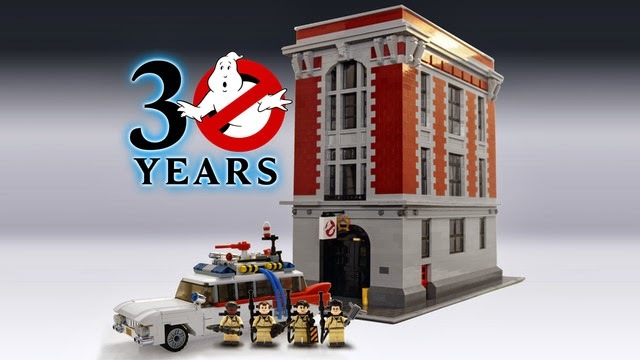 That’s right there is going to be a Lego 30th Anniversary Ghostbusters set. Brent Waller originally uploaded the set with a beautiful firehouse, ECTO-1, and four Ghostbuster minfigs. The firehouse is beautiful, giant, and not actually getting made. What we are getting is a much more affordable ECTO-1 and four Ghostbusters. Hopefully we'll get a Slimer to go with the guys. There have been third party Lego proton packs and wands out on the internet for a long time, but it will be very cool to have official versions of them. Now is the time to start looking through the clearance bins for the Monster Hunter stuff. After you get the Ghostbusters you’re going to need some monsters for them to fight.